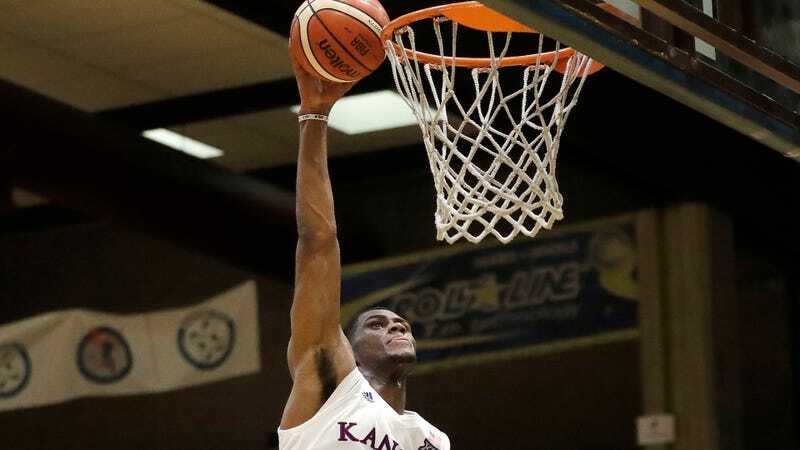 Local and campus police records do not have any evidence of Billy Preston being in a single-car crash this weekend, as head coach Bill Self claimed yesterday in his explanation for sitting the freshman forward in last night’s game. But the University of Kansas’s public safety office says that they have no on-campus accident reports from last weekend at all. And Preston’s name doesn’t show up in any of the Lawrence Police Department accident reports from last weekend. There were two single-vehicle incidents reported off-campus on Saturday—and none on Friday or Sunday—but Preston is not listed as a driver or passenger in either. There’s one incident with an unknown driver, a hit-and-run that happened about three miles from campus when someone sideswiped a parked car. So there are several possibilities for Preston’s situation here. One is that he exercised his legal right to not report to his crash to police because it involved only himself and incurred less than $1,000 of damage—but the school decided to bench him for a game while it performed its own investigation anyway. Another is that Self wrongly stated that the crash occurred on campus, and Preston’s wreck actually occurred outside the city of Lawrence. It’s also possible that Preston was legally obligated to report his crash and did not (such as if he was the driver involved in the city’s one hit-and-run this weekend), or that he did report but somehow managed to use a false name for the record of the accident. Or the police involved, whether campus or local, did not file a report for the crash—or there was no crash at all, and Preston actually sat out due to something else. Either way, Preston was benched last night as Kansas looked for a “clearer financial picture specific to the vehicle.” But plenty is unclear here apart from the financial. Update (6:25 p.m. ET): The Topeka Capital-Journal reports that Preston hit a curb, doing minor damage to his tires that did not require police involvement or an accident report. It is unclear if Kansas has finished its investigation of the “financial picture specific to the vehicle” or if Preston will be able to play on Friday.